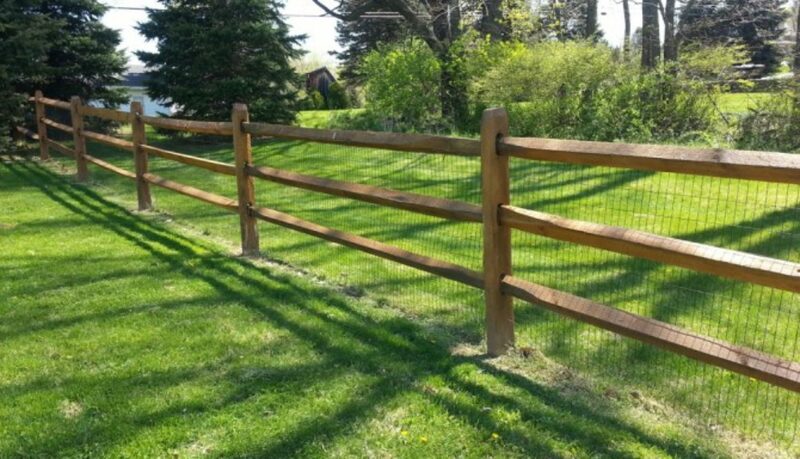 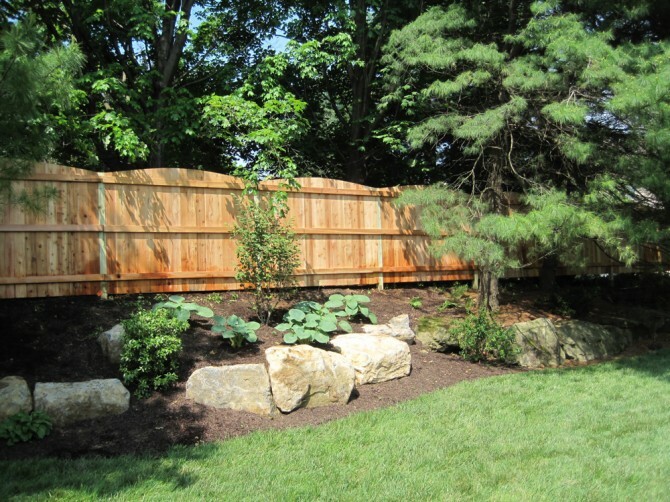 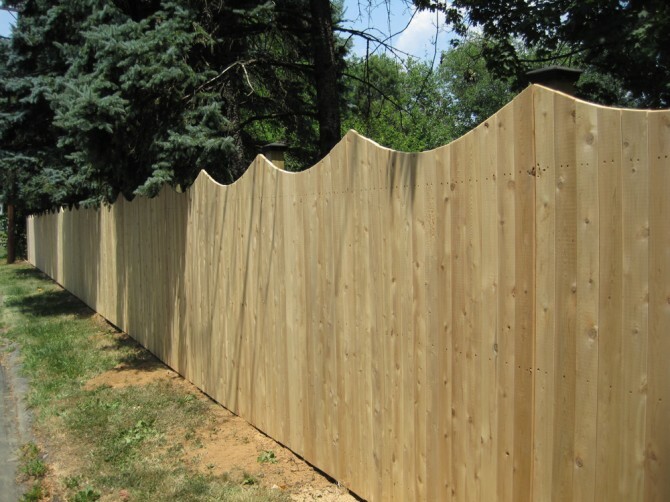 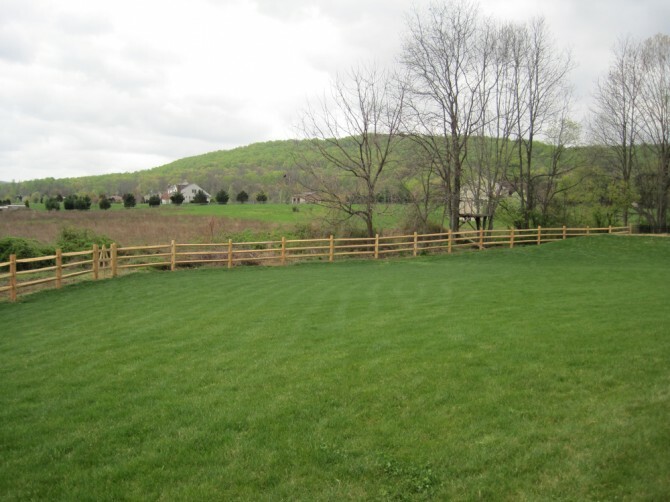 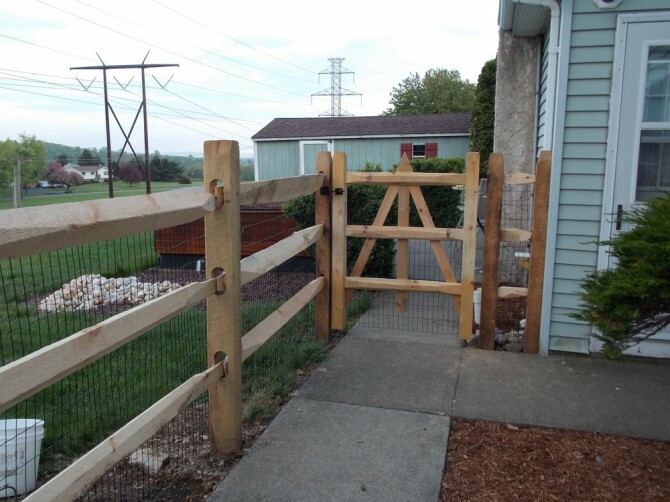 Just like vinyl fencing, there are many options when it comes to wood fencing. 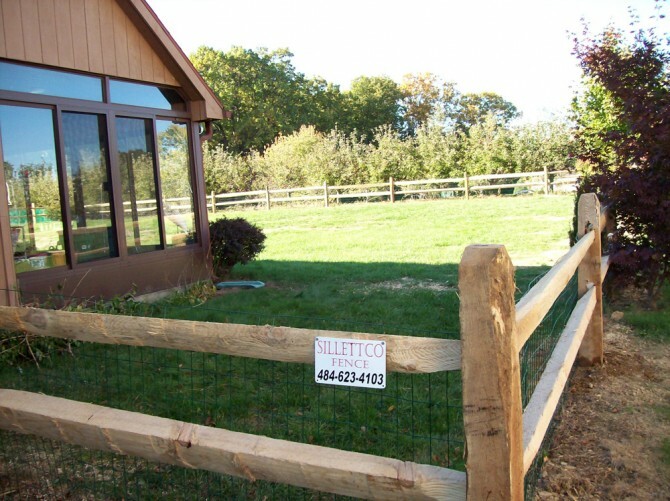 SillettCo Fence Inc. uses Eastern White Cedar. 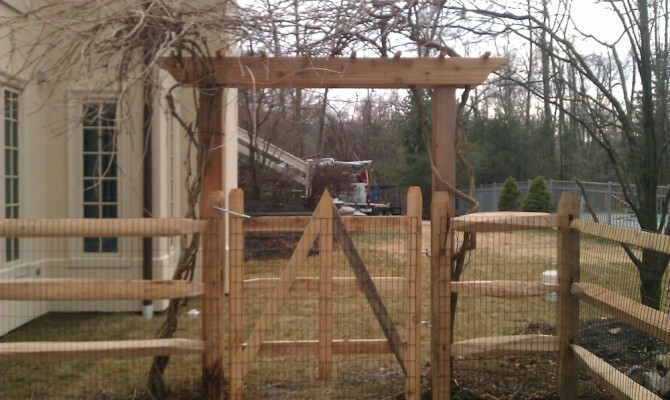 It is local to the Eastern United States and is more cost effective than Western Red Cedar. 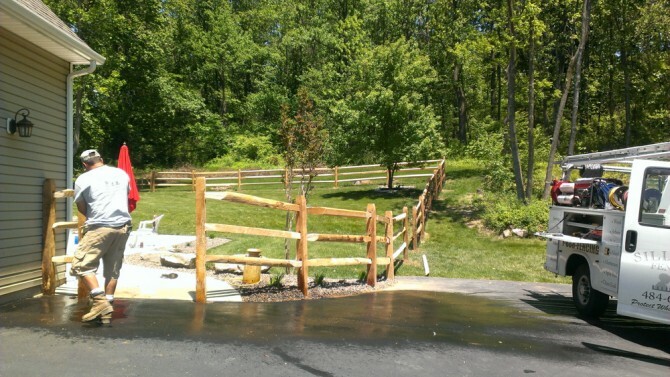 We use all hardwood for our split rail fencing. 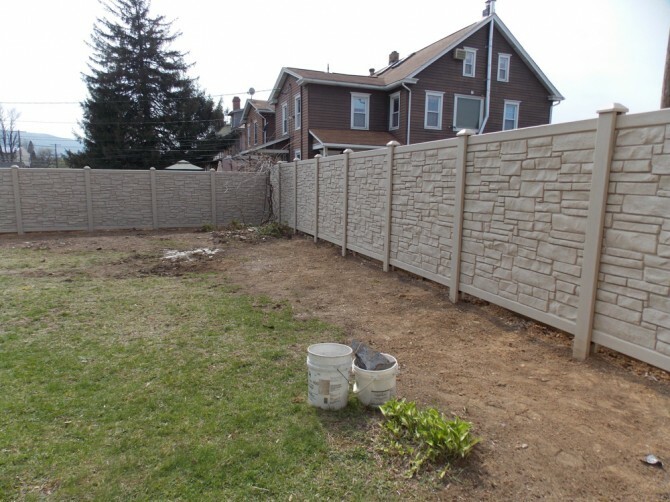 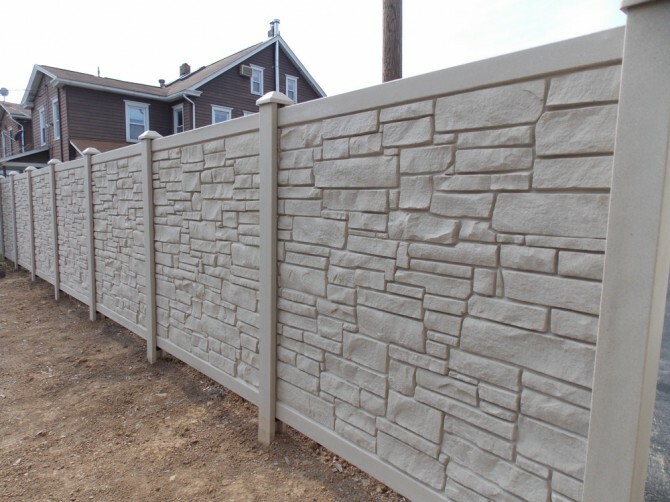 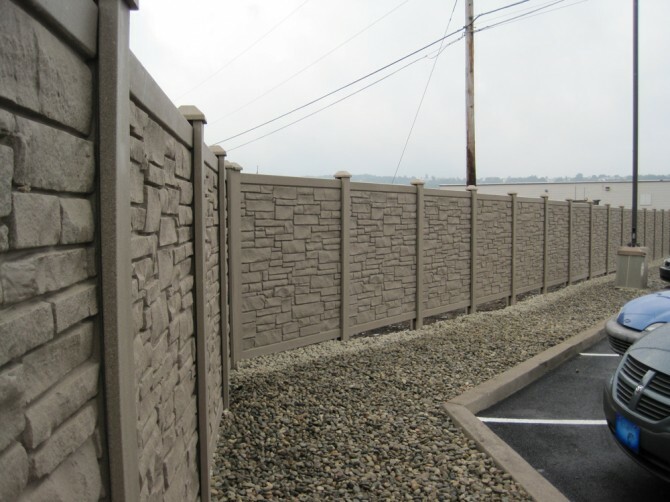 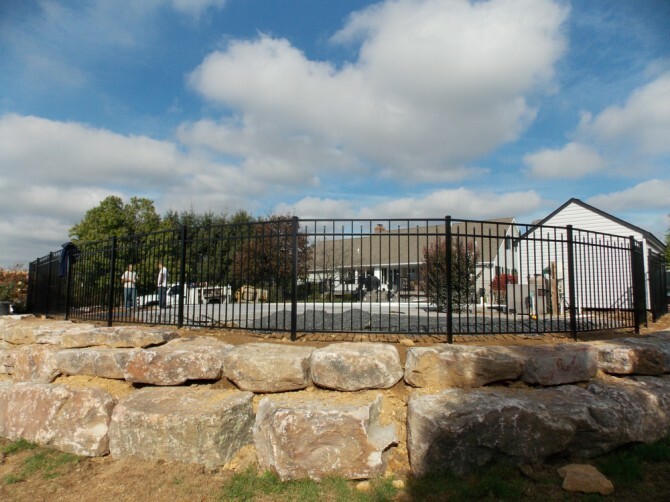 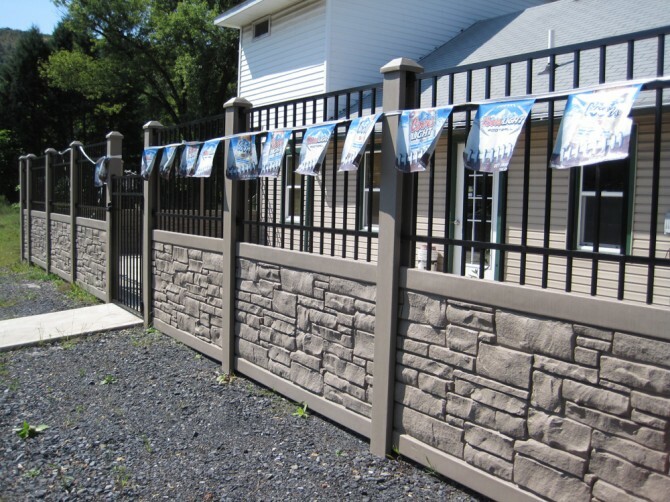 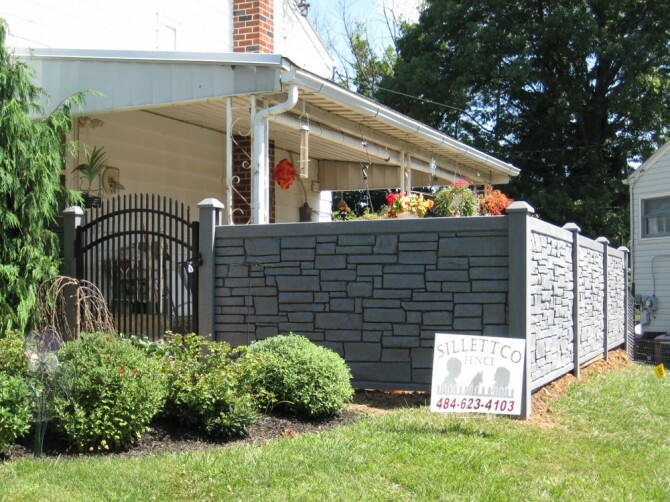 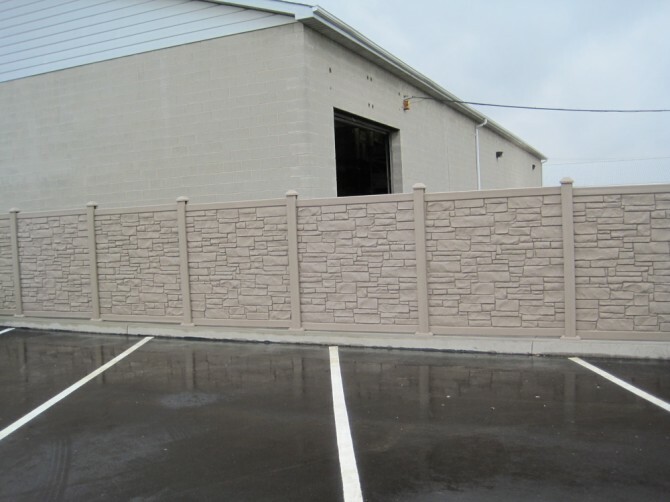 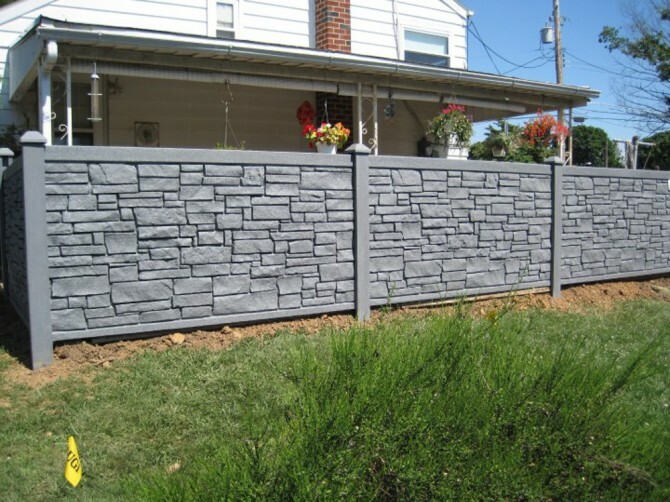 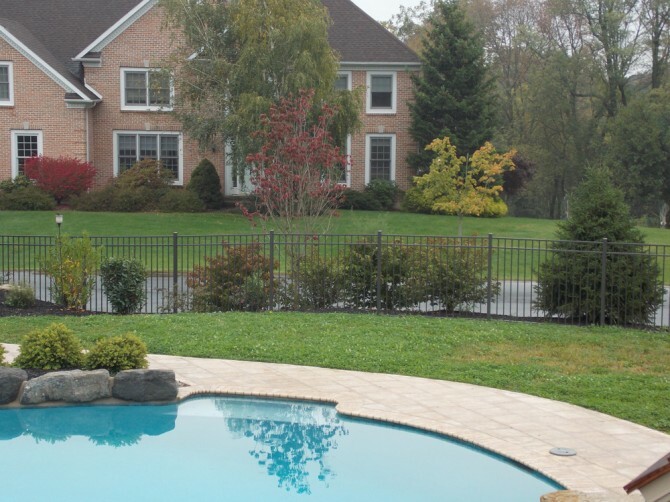 SillettCo Fence Inc. is the #1 dealer of SimTek “Stone Look” fence in Eastern PA. 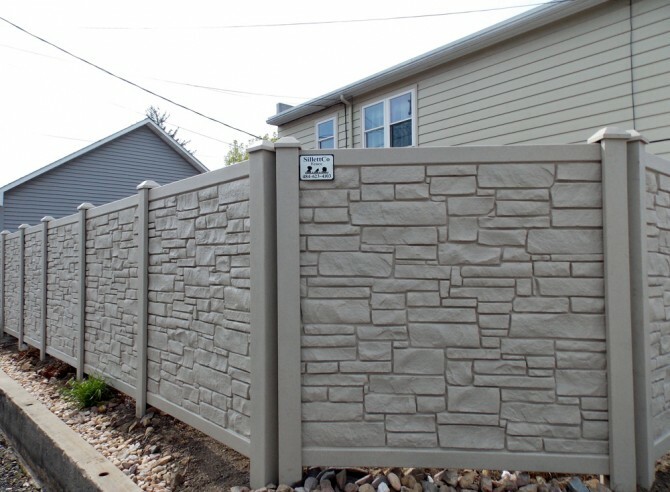 This fence has an authentic look and feel of granite. 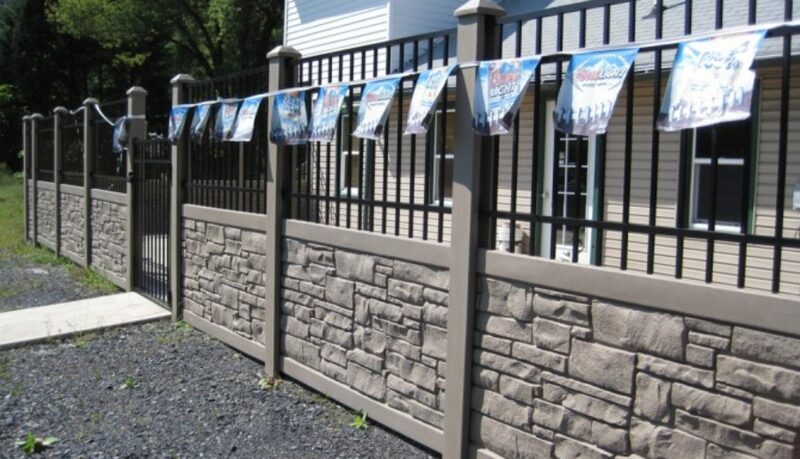 “Stone Look” is unlike any other vinyl product. 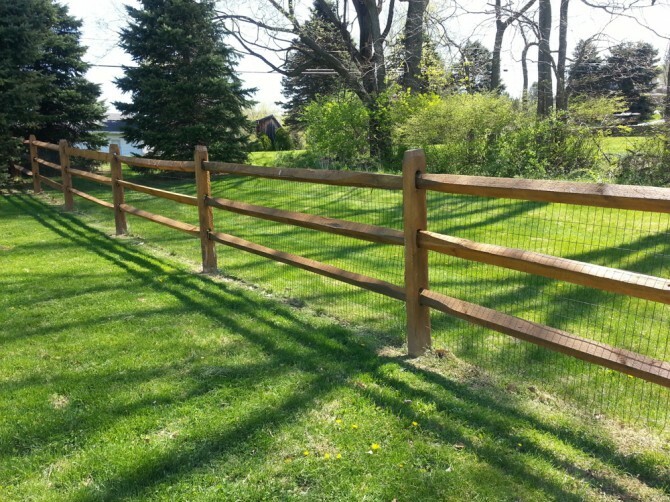 Call today 1-888-FENCING to discuss this and many other options! 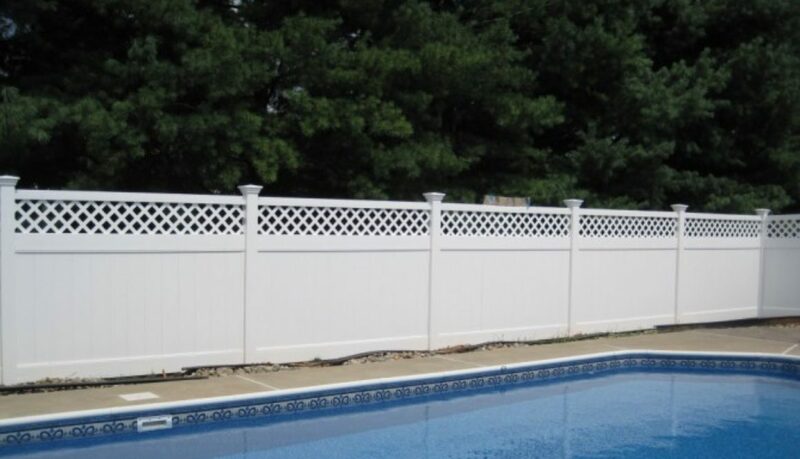 With so many styles of vinyl fencing, there is no design that can not be achieved. 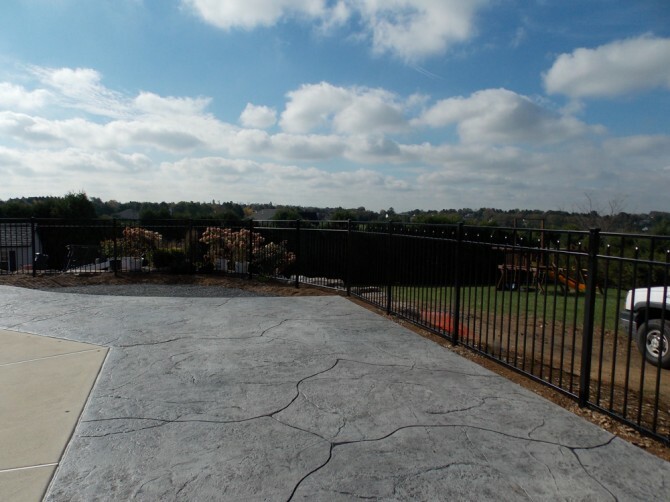 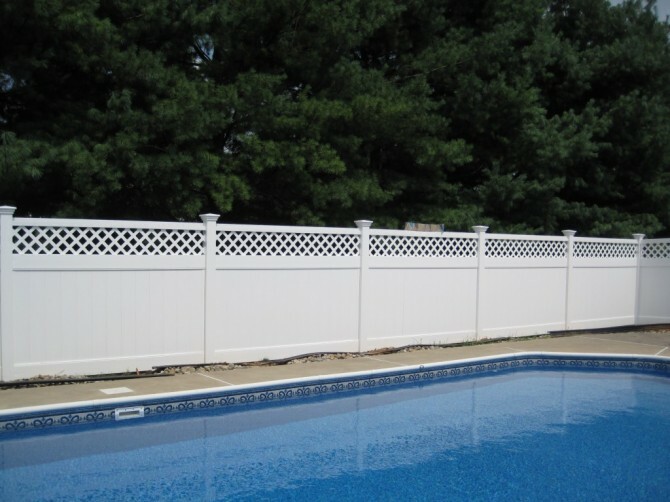 The sky is the limit when it comes to choosing vinyl fencing. 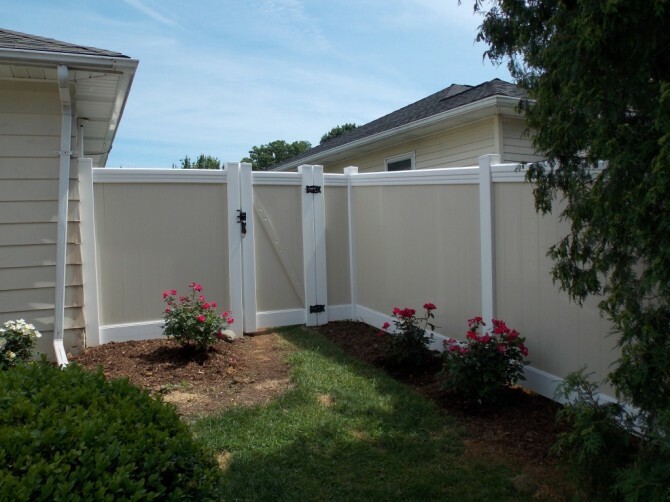 Vinyl fencing comes in privacy to picket fencing and everything in between. 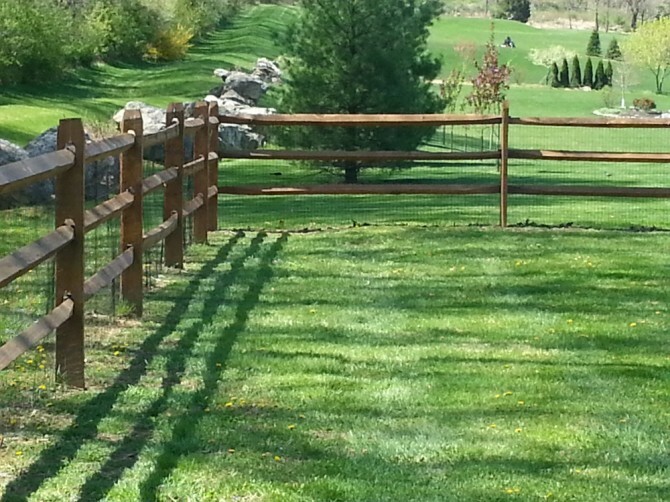 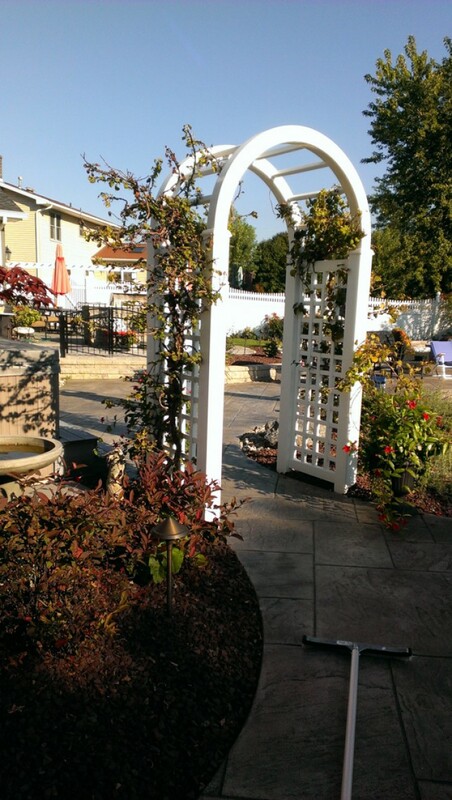 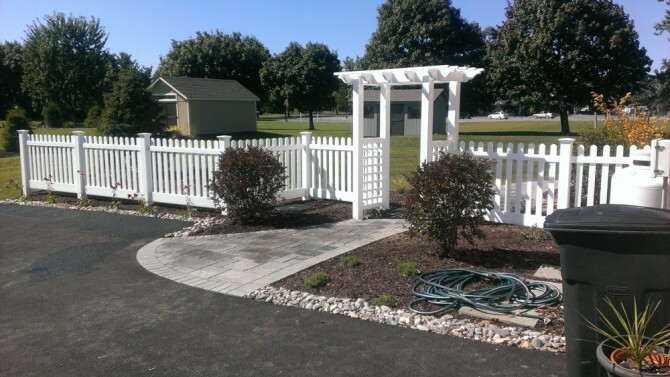 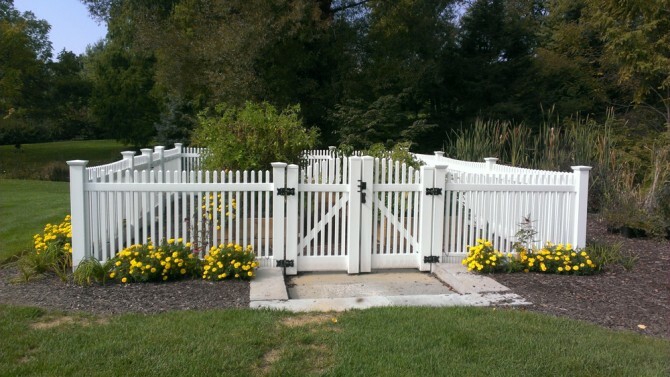 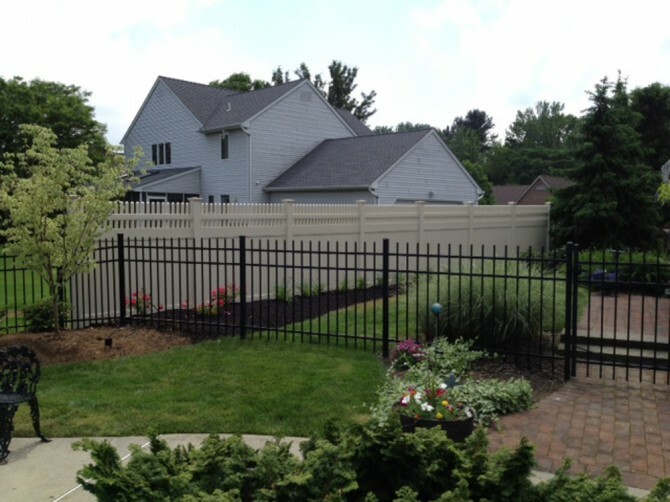 SillettCo Fence Inc. can help design the perfect fence for your perfect yard and application. 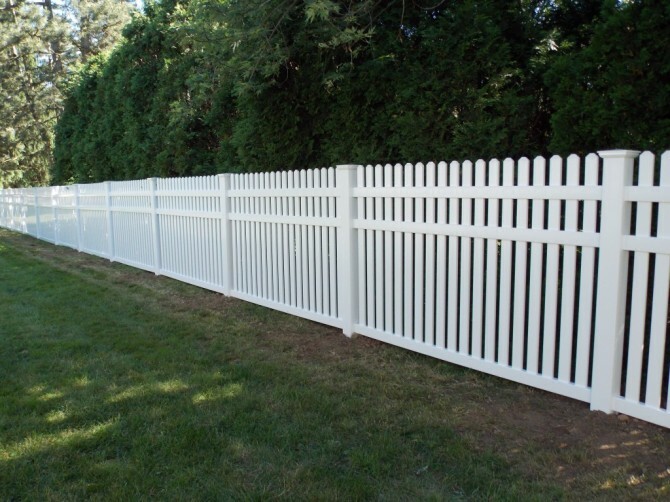 Our vinyl fencing also comes with a lifetime warranty. 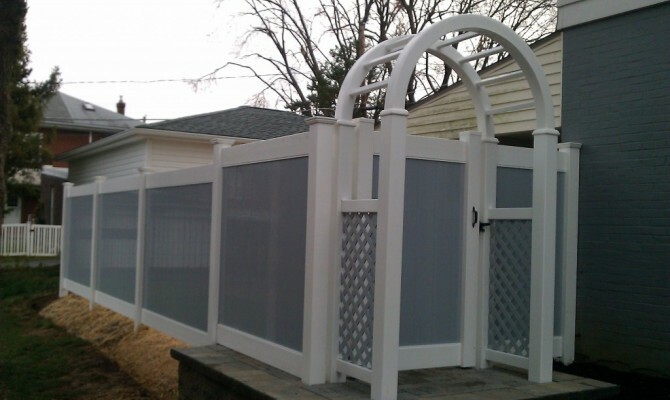 Aluminum Fencing also known as ornamental fence. 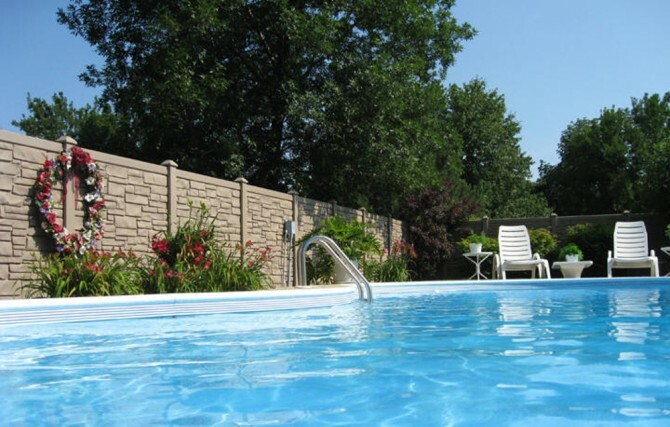 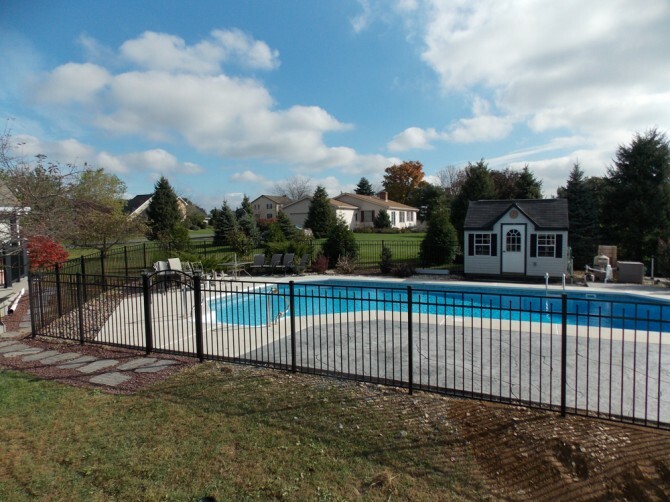 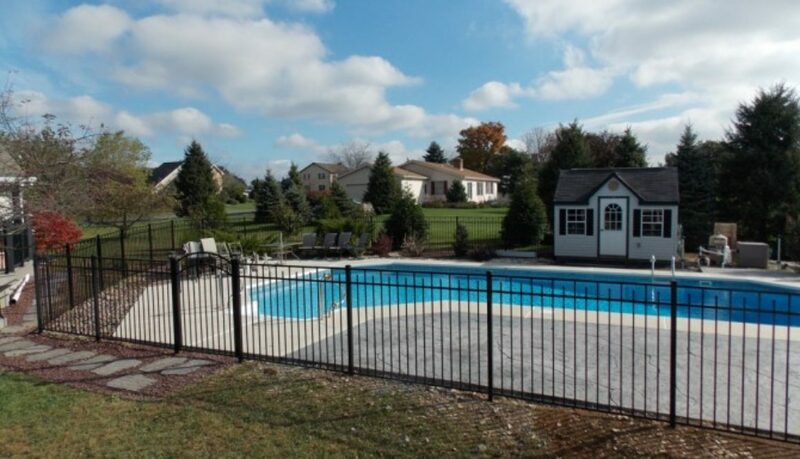 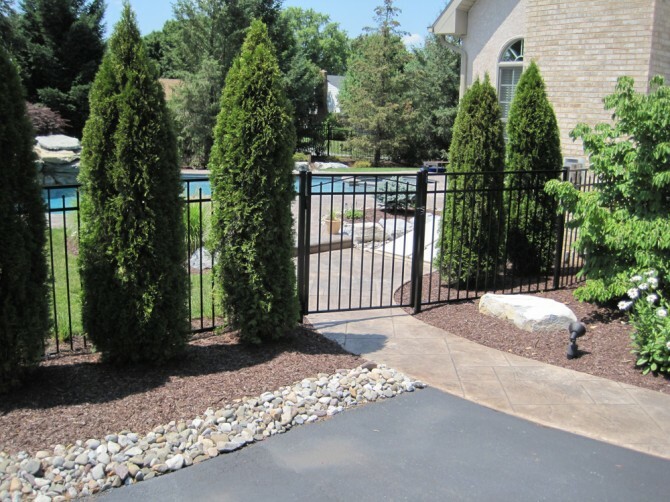 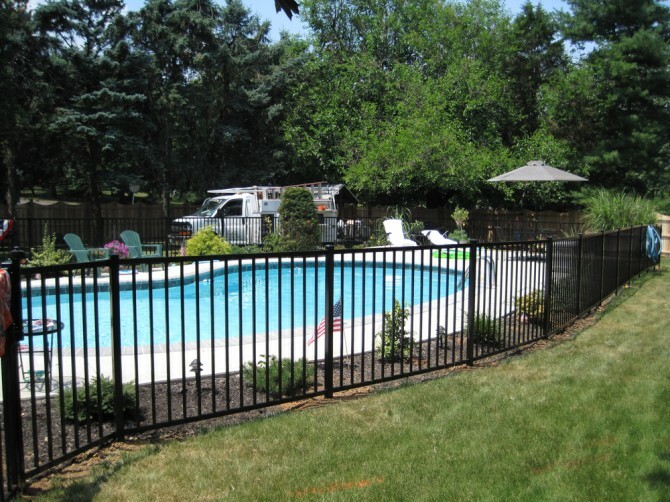 Aluminum fence is most commonly used for pool enclosures. 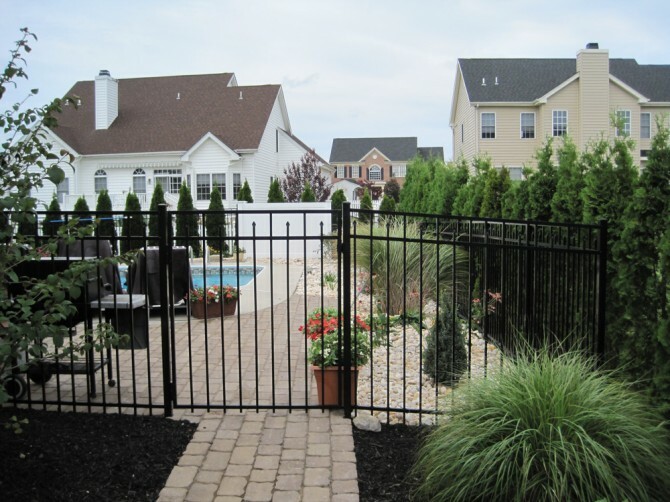 Aluminum fence is perfect for an open feel in your landscape while having the security of a fence. 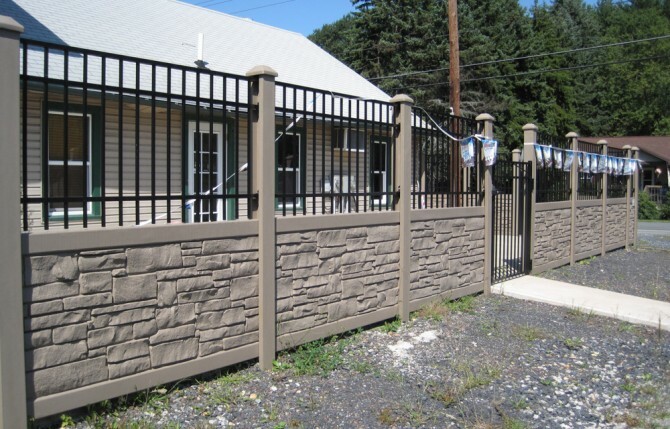 Our aluminum fence comes in many styles and colors and also carries a lifetime warranty. 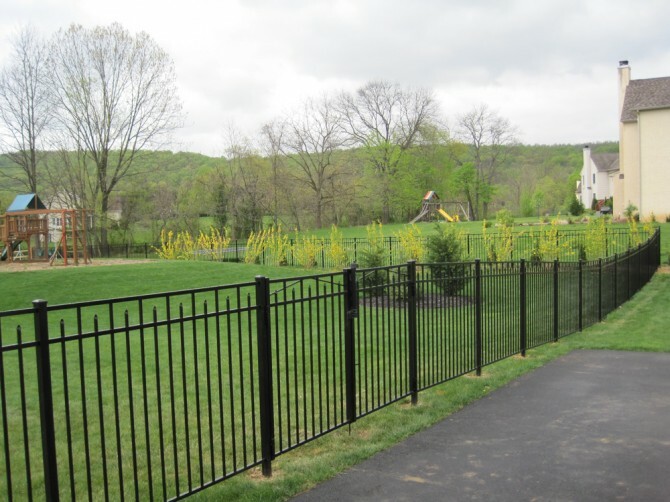 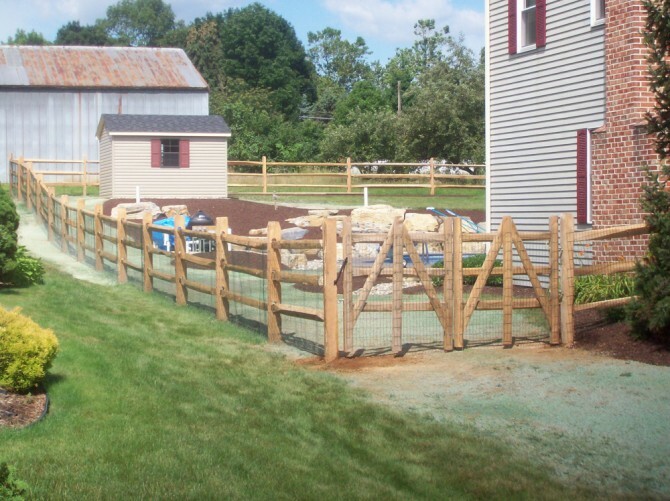 We use Jerith Fence for our Aluminum and ornamental fencing. 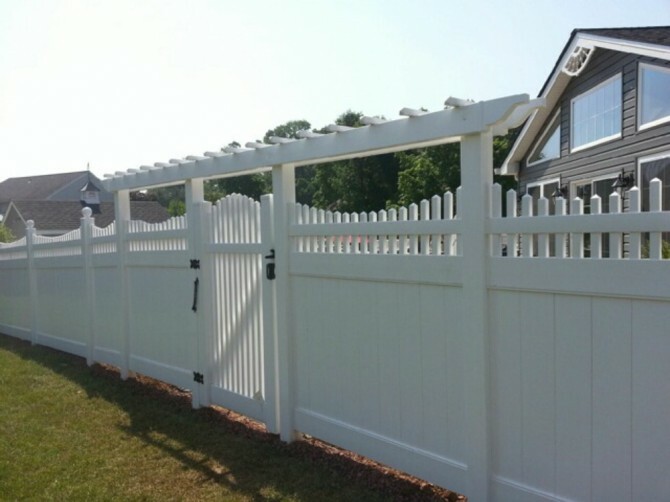 Free Estimates, Fully Insured, NO Subcontractors!